This is a beautiful time of the year. Everything in nature has been dead through the winter, but now we see new life emerging in the beautiful springtime. Easter Sunday is the one holiday that can be accurately determined based upon the Jewish calendar denoting the Passover. As Christians we worship the Lord every Sunday—the first day of the week. This is the day on which the Lord rose from the dead and thereby offers to everyone the opportunity to have life and immortality. I hope that all of us in this audience are in the glory land way. If not, it is my prayer that you will choose to do so before you leave today. For the last month or so I have been studying about the life of Noah. Several years ago I read two or three books about Noah’s Ark and the people who have seen parts of that Ark on Mount Ararat down through the centuries. Recently when the movie “Noah” came out, I was excited about going and seeing that movie until I read several reviews. One of our preachers out West sent me an article that he wrote after seeing the movie. He stated that the movie made the character Noah look like a crazy man. He also said that Noah’s family was made to look dysfunctional. I once read a caption that declared, “We need to put the word “fun” back in the word “dysfunctional!” Therefore, I decided not to support this movie since it reportedly attempts to deride and nullify the biblical account. “Even though Noah, Daniel, and Job were in it, as I live,” says the Lord GOD, “they would deliver neither son nor daughter; they would deliver only themselves by their righteousness” (Ezekiel 14:20). So, according to that, Noah was listed as one of the three greatest people who ever lived, along with Daniel and Job. So anybody that would try to make him look like a crazy man has not read the Bible and does not believe the Bible to be the word of God. 3. Plan ahead. Remember it was not raining when Noah built the Ark. 4. Stay fit. When you are 600 years old someone may ask you to do something really big. 5. Don’t listen to critics. Just get on with the job that needs to be done. 7. Travel in pairs to be safe. 9. When you’re stressed, float a while. 11. No matter the storm, when you are with God, there’s always a rainbow waiting. Now let us delve into our lesson about Noah and the flood and all the implications that it has for us today. We do need to learn the great lesson about Noah and the flood so that we can apply it to our life today and prepare to meet the Lord when he comes back in the air to take his people home to glory. Now I want to give you the location of where it is believed that the Ark came to rest after the flood. The Bible declares that the Ark came to rest on the mountains of Ararat. There is little Ararat and big Ararat. It is thought that the Ark rested on the larger Mount Ararat. That mountain is located almost on the north western border of Iraq and the north eastern border of Turkey. And to be more specific, it is next to Kurdish Iraq. We all remember that in the recent war the Iraqis under Saddam Hussein did not get along with the Kurdish Iraqis. And there was a lot of evidence that Saddam gassed the Kurdish people to death. We therefore can locate Ararat on this map. But what do we know about Noah? We need to have some background knowledge of Noah, because the movie suggests that he was a crazy man. Are we wrong when we teach the little children about “good old Noah?” According to the book of Genesis, Noah was the son of Lamech: “Lamech lived one hundred and eighty-two years, and had a son. And he called his name Noah, saying, “This one will comfort us concerning our work and the toil of our hands, because of the ground which the LORD has cursed” (Genesis 5:28-29). It seems to me that there is spiritual comfort promised here through the line of Shem. Christ was born through this line and has brought forgiveness of sins and the hope of eternal life. But the text suggests that through Noah there would be some relief from awful labor of man to dig out a living from the cursed soil. Therefore, I would suggest that the flood itself, while bringing great destruction on the earth, also brought some relief to the soil. There is no doubt that the receding water brought in rich layers of topsoil like we have in Indiana. Therefore, it seems to me that the flood brought some comforting relief to struggling mankind in “the work and toil of the soil.” The text suggests that the earth would be better off after the flood than before the flood—both physically and spiritually! Oh the wonderful grace of God. But notice that no matter how bad things become, we always have the wonderful grace of God. We do not earn or merit this grace, but it is the gift of God through Christ (Ephesians 2:8-10). Noah found grace in the eyes of the Lord because he was one of only two men of whom it is said, “he walked with God,”—Enoch and Noah (Genesis 5:22, 24; 6:9). He along with Daniel and Job were listed as three of the most righteous men who ever lived (Ezekiel 14:20). But even good people still need the wonderful grace of God. “And God said to Noah, the end of all flesh has come before Me, for the earth is filled with violence through them; and behold, I will destroy them with the earth. 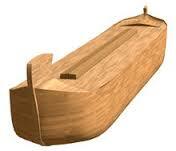 Make yourself an ark of gopher wood…And behold, I Myself am bringing floodwaters on the earth, to destroy from under heaven all flesh in which is the breath of life; everything that is on the earth shall die” (Genesis 6:14, 17 NKJV). That is God’s pronouncement. But Noah you have found grace in my eyes—build an ark. God has always required obedience to his commands. And he still requires obedience today. In Hebrews the word says of Christ, “Though he were a son yet learned he obedience by the things which he suffered. And he became the author of eternal salvation unto all them that obey him” (Hebrews 5:8-9). And in the same way Noah was a man who respected and obeyed the Lord. Genesis declares, “Noah did everything just as God commanded him” (Genesis 6:22 NIV). We also today must learn to be obedient to the Lord. After the awful flood was over and the water had receded, God commanded Noah, his wife and his sons and their wives to come out of the Ark. They were also to bring out every living creature so they could multiply on the earth and be fruitful and increase in number (Genesis 8:15-18). So basically one can read Genesis 6-9 and we have the flood story in a nutshell. What did Noah and his family do after they came out of the Ark? “I will never again curse the ground for man’s sake, although the imagination of man’s heart is evil from his youth; nor will I again destroy every living thing as I have done. All of this happened this way because Noah was a man of faith. The New Testament bears testimony to the character and good life of Noah: “By faith Noah, being divinely warned of things not yet seen, moved with godly fear, prepared an ark for the saving of his household, by which he condemned the world and became heir of the righteousness which is according to faith” (Hebrews 11:7 NKJV). Now I want to talk to you about the worldwide stories related to the Universal flood in the days of Noah. Before we introduce the stories that have been handed down through the centuries about the great flood and Noah’s Ark, I would like to introduce an image that has been sketched by those who claim they have seen the outline of this boat on the mountain range of Ararat. This boat looks more like a big floating barge. It was not made to float like the ships that we see today. It was made to carry a lot of cargo. A teacher (Claude Hall) at Freed Hardeman (College) University once stated an amazing number of railroad boxcars that would be required to fill up Noah’s Ark. It was a big boat. Those sketches depict as close as we can what Noah’s Ark looked like in his day. Next I want us to examine the similarities of all the stories they had been handed down to us about the great flood and Noah’s Ark. We believe that the biblical account is the original account of God’s dealing with the people in the antediluvian world. All of these worldwide stories were retold from those who survived the great flood–Noah and his family. Almost every detail in every story handed down to us about Noah and the Ark, agrees with what the Bible says about the great flood. And did you know that there are over 500 flood stories about Noah and the Ark and the flood from every culture and corner of the globe, dating all the way back to the dawn of writing. Now you would think there would be 500 different accounts about something that had never happened before. No way! And we are going to look at some of those different accounts if I can pronounce correctly all of the words in the stories. 1. The Sumerian Eridu. This document is dated from 2150 BC and written in the Sumerian cuneiform language. This document has the story of a universal flood. And do you know where these tablets were found? They were found in Nippur, Iraq. Among other things they state that Noah found immortality. And I guess in a way he did, because after all of these thousands of years, we are still talking about Noah. But this story has credibility with me, because Iraq is located right next to Mount Ararat. So they discovered these documents written over 2000 years ago in an area located right next to where the boat landed after the flood. That fact seems credible to me. 2. The Sumerian Kings. The second document is called the Sumerian Kings. And by the way, Sumer or the Sumerian civilization started down in the southern part of Iraq close to the area of Baghdad and Babylon. The Sumerian civilization was one of the first that we read about in the dawn of human history. This document is also dated from 2119–2112 BC. Among other things this document speaks about Cush, one of Noah’s grandsons. And these tablets were discovered at Larsa, Iraq. By the way, do you want to know how all of these stories got started? Well, we read about the flood in Genesis 6-9, but when we come to Genesis chapter 11, the people who came out of the Ark into a new world, married and started having a lot of children. And the population exploded over the next two or 300 years. And Noah’s descendants went off and started building a gigantic tower, called the tower of Babel. And God looked down from heaven and was amazed at what the people were able to do. God said that when they all put their heads together these people would build a tower all the way to heaven. And God was right. After all of these thousands of years, we are sending rockets and spaceships all the way out to the Moon, to Mars and beyond. If God was amazed at what man could do then, he must really be amazed at what man has been able to accomplish today. In order to keep that from happening then, God came down and confused the universal language of man. Therefore when God confused their languages, they couldn’t understand each other and therefore had to disperse throughout the globe. They couldn’t understand each other, so they had to scatter all over the world. That’s the reason we have the Native American languages in our country. And some of Noah’s descendants went to China and they even have a story about the great flood–they call Noah and his family “the water people.” The Chinese documents are perhaps the oldest account of the flood being dated 2275 BC. I have read where all of the languages today can be traced back to basically three main languages. Therefore, that is how all of these stories about Noah, the Ark and the worldwide flood got started. 3. Shuruppak. The next document is called Shuruppak and it also is dated from about 2100 BC. And it is written in a little bit different language called the Akkadian Cuneiform. And this document speaks of Noah as being very wise. And he was wise because he listened and obeyed God. And like some of the other documents, these were discovered in the area called Abu Salabikh, Iraq. So there we have three of the documents that were discovered in Iraq, very close to the area where the Ark landed on Mount Ararat. Again this makes the evidence more credible and authenticates the biblical record. 4. Atra-Hasis. This document discovered about 500 years later and is dated 1835 BC. Like the others we have mentioned it was discovered in Sippar, Iraq. It also speaks of Noah as being very wise and no doubt was copied from a document that we have mentioned previously. 5. Gilgamesh. And then you all have probably heard about the Gilgamesh civilization. Therefore, we have the Gilgamesh story of the great flood and it is probably the most famous of all the documents handed down. The atheists and unbelievers surmise that the Bible copied the Noah story from the Gilgamesh account. No! The Gilgamesh and all these other stories copied from the inspired biblical account in Genesis 6-11. They copied their stories from the people who actually came out of the Ark and had first-hand knowledge of what had happened. The Gilgamesh documents were found in Nabur, Iraq and in Nineveh, Turkey, and are dated from about 1150 BC. This document also speaks of Noah as “he obtained immortality.” I believe we have heard that before. That statement sounds like they copied that from an earlier account. 6. Berossus. Next we jump over to the time of the Greeks in 280 BC. The Berossus documents are written in the Greek language and also speak of Noah that “he obtained immortality.” And these tablets are quoted by Josephus who was contemporary with the Christians. It is also quoted by other historians of that time. Now all of these documents share some things in common. They all speak of a large ship or boat and they all give some dimensions that are very close to what the Bible says if not exact. They all speak of the boat being covered with pitch or bitumen. They speak of the ship being stored with food, animals in the Ark, a family of eight people in the boat, a single door, a global flood that covered the mountains, and coming to rest on Mount Ararat. Some of them also speak about the altar that Noah erected and the sacrifice he made after leaving the ark. This is strange, but they also speak about the animals being afraid of man after the flood. Perhaps they realized that man was the dominant figure on the earth after the flood. And perhaps the greatest thing that they mention is that God put a rainbow in the sky after the flood as a reminder that he would never destroy the earth again by water. This is a symbol of an unconditional covenant or promise to all mankind. Now it is time to come to the climax of our lesson for today. You might say, “That is a beautiful story that you been preaching about this morning, but what in the world does that have to do with us today?” Much! A lot! GOD WILL NOT SPARE THE DISOBEDIENT AT THE LAST DAY! “For if God did not spare the angels who sinned, but cast them down to hell and delivered them into chains of darkness, to be reserved for judgment; and did not spare the ancient world, but saved Noah, one of eight people, a preacher of righteousness, bringing in the flood on the world of the ungodly” (2 Peter 2:4-5). Peter is declaring the fact that God is going to punish all who obey not the Lord both in the ancient world and in our world today. If God did not even spare the Angels that sinned, nor the people in the days of Noah, neither will he spare the disobedient in this the last age of mankind on the earth. But in contrast God saved Noah and seven other people after which he brought the flood in on the world of the ungodly. Archaeologists have found all sorts of artifacts all over the world that proves there was a universal flood that took place in the history of man. We have presented an overwhelming amount of evidence so far to prove that the flood that took place in the days of Noah. Let God be true and every man a liar! This brings us to our world today. In Indianapolis almost every night there are three to a half dozen people killed in our city. Even the police department does not know what to do in dealing with these murders. All the preachers have been called out to the World War Memorial building for a prayer session because they don’t know how to deal with all this violence. All of the sinful wickedness that was going on in the ancient world is going on in our society today. Can anybody deny that this is going on? No they can’t. But still there are a lot of good people in our country today. I do believe there are far more than just eight people who are righteous in trying to do God’s will. But again the argument that Peter made was simply this: if God spared not the ancient world, nor even the Angels that sinned, he definitely will not spare the people who live today who live sinful lives. Knowing this first: that scoffers will come in the last days, walking according to their own lusts, and saying, “Where is the promise of His coming? For since the fathers fell asleep, all things continue as they were from the beginning of creation.” For this they willfully forget: that by the word of God the heavens were of old, and the earth standing out of water and in the water, by which the world that then existed perished, being flooded with water (2 Peter 3:3-6). Do we have any scoffers today? Oh yes, we have a lot of people who deny the Bible, make light of it and religious people who subscribe to the word of God. And these scoffers are trying to do everything they can to wipe out every last vestige of Christianity in America. And in Iraq, the scoffers have reduced the Christian population by up to one half. The violence against God’s people all over the world is rampant. And today, we still have those that argue that everything is going on just like it has from the beginning of creation—seedtime and harvest, summer and winter, day and night, cold and heat. But did you know that things have not always been going on just like they have from the beginning of creation? Even today, people are willfully ignorant of the very subject that I have been speaking about. And they were also willfully ignorant of these facts in the days of the apostle Peter. What are people willfully ignorant of to this day? 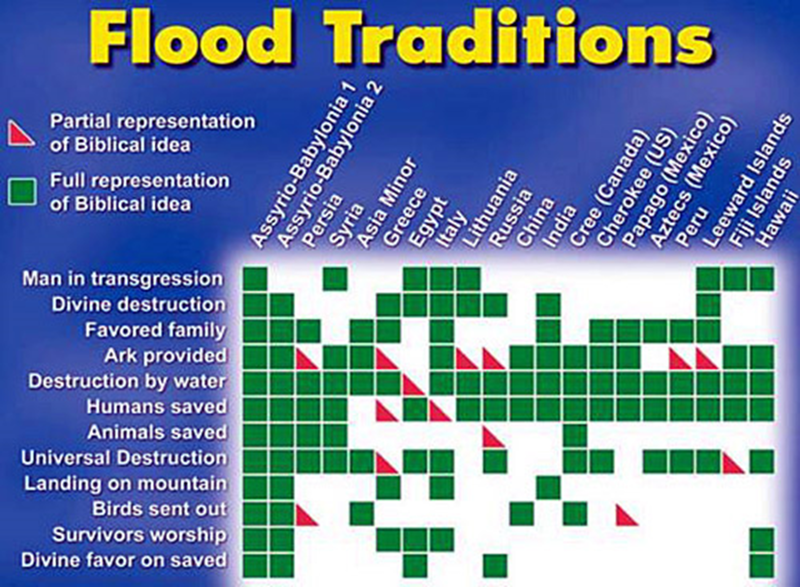 Why the great flood in the days of Noah! They are also ignorant of the destruction of all the wicked people who lived before the flood, the salvation of Noah and his family. A book entitled, The Genesis Flood, presents all the evidence for a worldwide flood in the days of Noah. And the Bible says that is what happened, and I believe it. But notice the Peter’s argument, “But the heavens and the earth which are now preserved by the same word, are reserved for fire until the day of judgment and perdition of ungodly men” (2 Peter 3:7). This beautiful world is reserved for fire. Not a flood, but fire! Do you remember how everyone was horrified when they saw all of that fire burning the twin towers on the day of 9/11? When those two buildings came crashing down, did you take note of how religious everybody became for about two months after the fact. We didn’t hear any curse words on the television, people prayed to God, and were very humble for a while. Did you know that people will be crying out on the day that this old world is set on fire? They will cry out for the mountains to fall down upon them. Where are some caves that I can hide myself, they will ask? Peter says that God has reserved this same earth and the immediate heavens for fire unto the Day of Judgment and perdition of ungodly men. “But, beloved, do not forget this one thing, that with the Lord one day is as a thousand years, and a thousand years as one day. The Lord is not slack concerning His promise, as some count slackness, but is longsuffering toward us, not willing that any should perish but that all should come to repentance” (2 Peter 3:8-9). The Lord is not controlled by time like we are. God loves everybody. He has given us all these years because he doesn’t want anyone to perish like they did in the days of Noah. He wants us to repent and to serve him. Next, we note that the flood water in the days of Noah was a type of water baptism that saves us today. The water of the great flood caused everybody to perish. But the water that destroyed the whole world was the same water that saved Noah and his family. The same water saved Noah and his family because they were in the Ark of safety. Water baptism as taught in the New Testament is going to condemn a lot of people to hell because they reject it almost universally. Some say, “I don’t need to be baptized because I was saved by faith only.” “The moment I believed that Jesus is the Christ I was saved from all of my past sins,” they claim. But where did anyone learn that? The Bible doesn’t teach that. Was Noah saved the moment he believed what God said about a great flood? No way! He got busy and started building an ark. It seems that he may have preached to the people and worked on the Ark for 120 years. His works of obedience grew out of his great faith in God and his word. 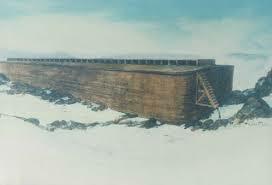 And so when it started raining and kept on raining, it was time for everyone to go into the Ark. Soon the whole countryside was flooded with water but the Noah family was safe in the Ark. The water saved Noah from the destruction of the sinful people of the world. And Peter says that “water” saves us today. We are saved by water, but not water alone. We are not saved by any one thing alone. We are saved by the blood of Christ, but not by the blood alone; we are saved by faith, but not faith alone; we are saved by the grace of God, but not grace alone. We are saved by many things but not any one thing alone. All of the conditions of salvation from sin are connected in a beautiful chain of salvation. They are connected as links in the chain and no man can separate them.